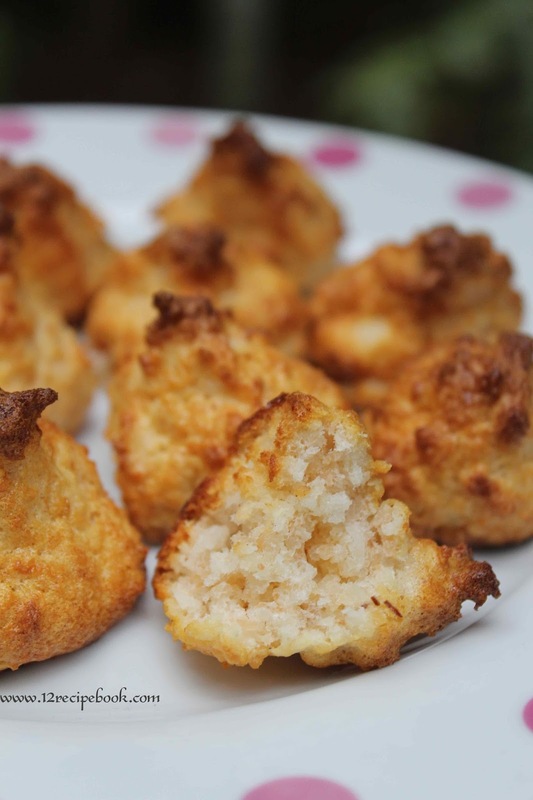 Coconut macaroons are simply pretty and chewy cookie made with only three ingredients. They are crispy outside and soft inside. 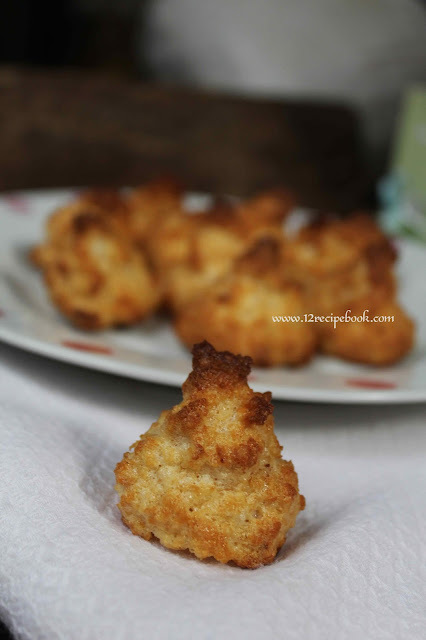 I already posted the recipe of home made desiccated coconut. Check it out if desiccated coconut is not in your pantry. 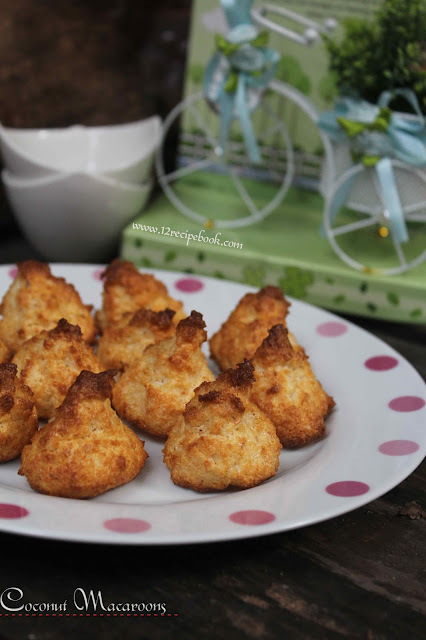 Here is the recipe for making easy and simple coconut macaroons; Try this perfect bites for a quick gathering party!!! Pre-heat the oven in 170 degree for 5 minutes. Combine desiccated coconut, vanilla essence and sweetened condensed milk in a bowl. Beat two egg whites in another bowl until soft peaks comes. Add the egg whites in to coconut mix and fold slowly until well combined. Take small portions and place it on the baking sheet as small mounds. (leave 1 inch space in between). Let the macaroons cool in the baking sheet for two minutes and transfer in to a wire rack to cool completely.